The Violet Design Garnet is an electrostatic vacuum tube microphone. Its vintage sound is warmed by vacuum tube circuitry and an output transformer. The Garnet uses a specially designed large dual-diaphragm transducer, which can be adjusted to nine different polar patterns. The Garnet's multi-layer brass mesh grille keeps frequency response and sound details clear while its massive body construction provides low mechanical noise and solid bass response. An external elastic suspension shockmount is included to protect the Garnet from stand rumble, subsonic vibrations, and external shocks. Its Class 'A' fully discrete internal vacuum tube preamplifier provides high output, low impedance and low distortion. The Garnet has a large humbucker, custom-wound audio transformer that balances the microphone's output, separating it from external interference and providing additional analog warmth to the sound. A soft starting, smart power supply is included. 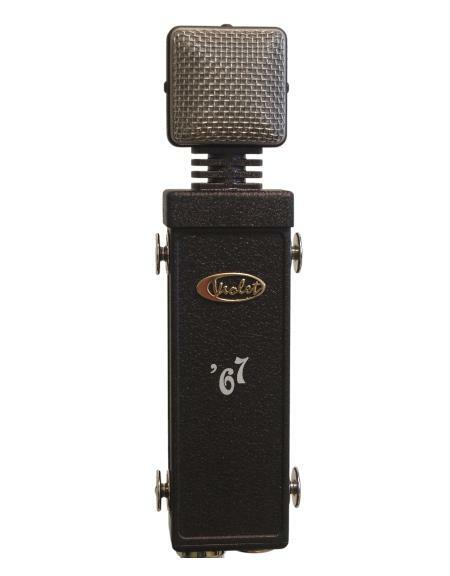 The "Garnet 67" uses dual diaphragm VD67 capsule and is designed for that classic warm sound we know from the classic vintage microphones. It has a slightly wider cardioid polar pattern. "The Garnet" microphones are based on our original true electrostatic capsule and vacuum tube electronics. The capsule diaphragms are made of a special, highest quality, calibrated polymer film. The unique irregular sputtering with our special formula of gold mixture gives them a faster impulse transient response with minimized resonance, sound coloration, high and low frequencies reduction, and possibility to handle higher sound pressure levels. Using our original technology the diaphragms are tensioned and adjusted on our precisely made brass back-plates. At the end of the manufacturing process every capsule is carefully checked for electrical parameters and measured in an anechoic chamber for the optimum audio performance. The acoustically transparent multilayer mesh head's construction supports polar patterns, keeps sound transparency almost unaffected and minimizes the head's internal resonances, at the same time reducing plosive sounds and wind noise, and shielding capsule from external interference. 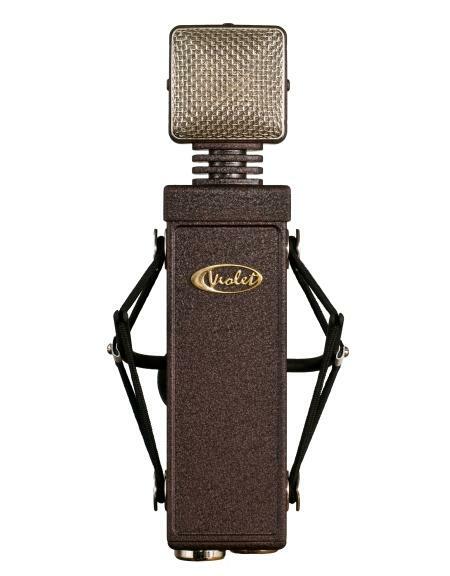 "The Garnet" microphone's internal preamplifier is based on a class-A discrete vacuum tube circuit designed under the highest audiophile standards. Carefully selected vacuum tube and the best quality components provide linear audio frequency range, natural dynamics, minimum self noise and very low audio distortion of all types. The massive metal body stabilizes the thermal regime of vacuum tube electronics. The tube is mounted on an internal damper to protect it from mechanical resonances and acoustical feedback. 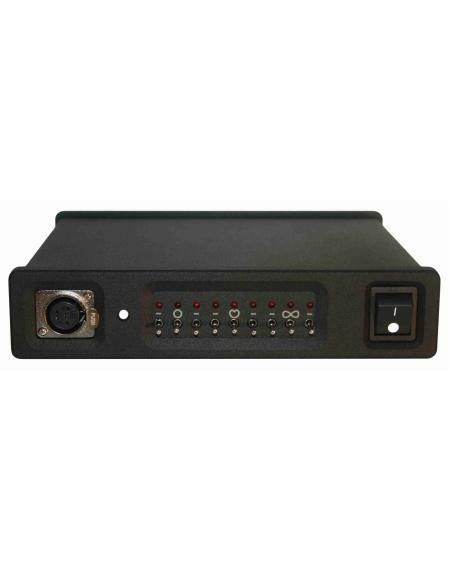 The large size, noise cancelling design custom wound audio transformer provides even more warmth to the sound, and balances the output circuit separating the microphone from RF and other kind of interference. A gold plated contact 7-pin XLR output connector provides stable microphone connection. The Garnet microphone is powered from an external soft starting PSU-5 smart power supply unit, providing stabilized and protected polarization, plate and heather voltages. 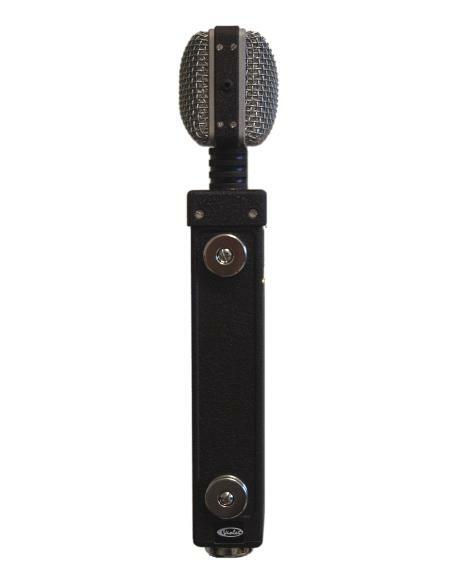 The included special audiophile quality VTC-06 tube microphone cable with gold plated contact 7-pin XLR connectors must be used between microphone's output and power supply unit's input. This cable minimizes all types of internal and external interference, noise and signal loss. "The Garnet" microphone's rugged construction with balanced internal dampers-shock mounts for the capsule, vacuum tube, and all electronics module, together with included orginal construction JSM elastic external studio shock mount effectively reduces stand rumble, infrasonic interference and mechanical shocks. 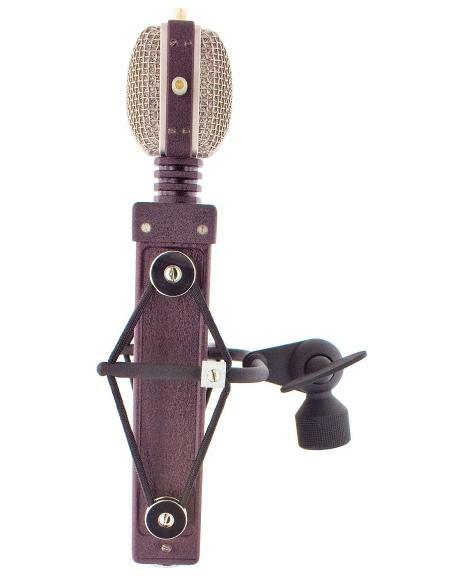 Under the special request "The Garnet" microphones are available in matched stereo pairs to provide balanced recordings. 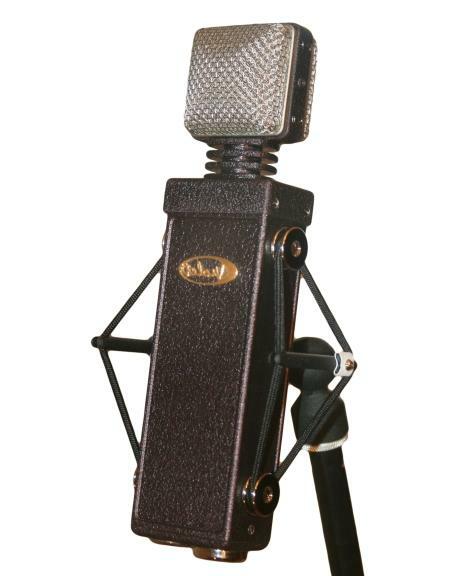 "The Garnet" microphone is designed for the lead function recording - orienting on lead vocals and similar function lead sound sources, but the same time is excellent tool for most musical instruments and other sound sources recording as well. "The Garnet" microphone provides 9 selectable polar patterns from "Figure of Eight" pattern (right located miniswitch on power supply unit), step by step transformed into "Cardioid" pattern (mid located miniswitch), and then step by step transformed into "Omni" pattern (left located miniswitch). Right side located miniswitches always have ON priority over the left side located switches. It takes 1-2 minutes to stabilize new pattern regime after switching to another one. Front side of capsule is marked with VIOLET logo on microphone body, so please take attention to use microphone from an active side(s) of the capsule depending from selected polar pattern. 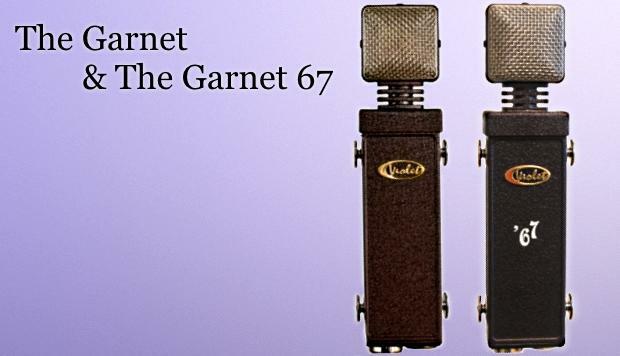 Use "The Garnet" microphone with possibly higher quality linear microphone preamplifier. Vacuum tube units and switching impedance input transformers are preferable. Find the best tone manipulating with microphones distance, angle, pop filter, windscreen, reflectors, room's acoustic, etc, and changing preamplifier input impedance (if there is such possibility). Lowering of input impedance will warmer and sweeten microphones tone and vice versa. Do not use equalizers, other corrections and dynamics processing at the process of recording, or use them as little as possible, orienting corrections to down (minus) side for minimum of phase distortion. The Garnet is perfectly suited for hi-end professional recording. It excels when capturing vocals, speech, and choir, but also performs well for capturing musical instruments, orchestra and most other sound sources. The Garnet is a solid solution for broadcast and television studios, as well as the film and video industries. It can be used effectively for other professional applications including sound reinforcement and installed sound systems. Using the Garnet for project studio and home recording will upgrade your work to a higher quality, professional sound level. VOCALS "The Garnet" provides warm classic vintage vocal tone. Use the microphone at 5 to 50 cm distance, try different capsule angles and polar patterns to get the best result. In case of need use studio pop filter or foam windscreen to reduce plosive sounds, breath, pop and wind noise. Use quality damped microphone stand. PIANO There are many methods with close miking, distanced miking and combined miking of grand piano. Use a pair or more for stereo recording and add distanced microphones for room acoustics. The result highly depends on player, instrument quality and room's acoustics. The right microphone placement is the most important factor. Try different polar patterns. The best method is to use your own ears - go to instrument, listen and find the best location and position for microphone. ACOUSTIC GUITARS Right placement is the most important factor. 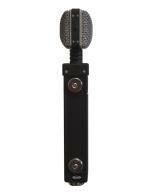 We recommend start with facing the microphone to guitar's neck, where it joins body, in some 10 to 30 cm distance from it. 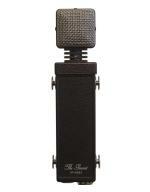 Use a pair of microphones for stereo recording, and add distanced microphones for more room acoustics. ELECTRIC GUITARS "The Garnet" is perfect for juicy, fat, dense and warm lead guitar or for jazzy tones recording as well. Place the microphone 10 to 20 cm from a loudspeaker cone. 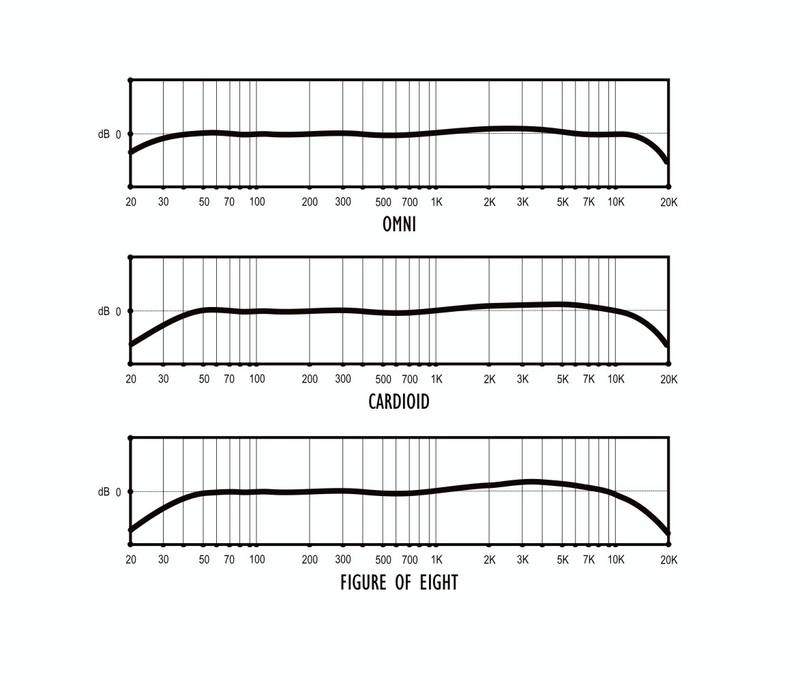 To get more upper frequencies move it closer to loudspeaker cone's center, or toward the cone edge to get fuller tone with more mid and low frequencies. Orient capsule diaphragm under some angle to the loudspeaker cone's surface to avoid low frequency wave peaks. Larger distance from the loudspeaker will add more air and room acoustics and soften high frequencies. There are endless methods of combined close miking, distanced miking, miking from a backside of an open speaker box, experimenting with different room acoustics, etc. DRUMS "The Garnet" provides detailed high-dynamics recording of drums. The advisable distance is 5 to 15 cm from a drum rim, try different positions and angles. A bigger distance will add more air, environment, naturalness and blend with other drum set components. A smaller distance will increase the low frequencies and separation from other sound sources. Use a close as possible put together microphone stereo pair as overheads, starting at some 70 cm distance over the drum set, try different polar patterns and orienting angles of capsules. There are very different methods to record drums - from one right placed stereo microphone pair for perfectly balanced drum set in an optimal acoustics room, until individually close miked every sounding drum component or even several microphones on such components as bass drum, snare drum, hi-hat, etc. PERCUSSIONS Like on the drum recording "The Garnet" microphone provides transparent, clean, and real results in percussions recording. The distance of 30 cm is the best to start. Closer distance will add more details, tone and separation. Larger distance will add room ambience, naturalness and blending with other instruments. BOWED STRINGS "The Garnet" is an excellent choice for bowed string instrument recording. The distance of 30 to 50 cm above the instrument bridge is preferable for violin and viola. The distance of 10 to 25 cm in front of bridge is right for double bass or cello. Try different polar patterns. BRASS AND WIND The warm, full, natural tone of "The Garnet" microphones makes them the best choice to record saxophone and other brass and wind instruments. For the clarinet and the soprano saxophone use the microphone 10 to 30 cm above the horn and lowest pads. For the other saxophones place microphone 5 to 15 cm in front of the lip of the bell. For the flute place the microphone above the middle of the instrument. Use 10 to 50 cm distance for the trumpet, the trombone, the French horn, the tuba and other brass instruments.